President Donald Trump's Supreme Court nominee, Brett Kavanaugh, a federal appeals court judge, appears before the Senate Judiciary Committee on Capitol Hill in Washington, Tuesday, Sept. 4, 2018, to begin his confirmation to replace retired Justice Anthony Kennedy. On Thursday morning, a psychology professor from California will sit before lawmakers to accuse a Supreme Court nominee of sexual assault — while all of Washington, and much of the nation, watches it live. It's a high-stakes, high-drama moment with the power to sink Judge Brett Kavanaugh's chances of winning a seat on the high court and to shift the dynamic in the upcoming midterm elections. How will Kavanaugh and Ford prepare for the make-or-break event? Here's a look at what it takes to get ready for a public grilling. First, they will practice. Both Kavanaugh and Ford have undoubtedly spent time with lawyers and other experts in the art of mounting a strong public defense. These sessions can be nasty, merciless and rough — often called murder boards. They're designed to squeeze frustration or even anger out of a nominee before the public hearing. Better that it come out in private than in front of the cameras, the thinking goes. Justices John Roberts, Samuel Alito, Elena Kagan and Sonia Sotomayor all underwent this grilling before their confirmation hearings. So do presidential candidates ahead of televised debates. Ohio Republican Sen. Rob Portman, for example, played Democrats Al Gore and Barack Obama in mock debates with George W. Bush and Mitt Romney to help the Republicans withstand anything that might throw them off-stride. Kavanaugh spent hours at a time in the White House complex last week preparing for the upcoming hearing. He was joined by a team of officials including White House counsel Don McGahn and members of his staff, officials from the Justice Department, White House press secretary Sarah Huckabee Sanders, deputy press secretary Raj Shah and communications director Bill Shine. Shine's presence was noteworthy, since he was ousted from his previous job at Fox News in part due to his handling of sexual harassment claims at the company. Kavanaugh had a dry run of sorts with his Monday night interview with Martha MacCallum of Fox News Channel. With wife Ashley at his side, the appellate court judge denied at least six times ever sexually assaulting anyone. He said 15 times that he wants a "fair" hearing. He refused to speculate on Ford's motives for making such an accusation. He volunteered that he was a virgin throughout high school and for years afterward. 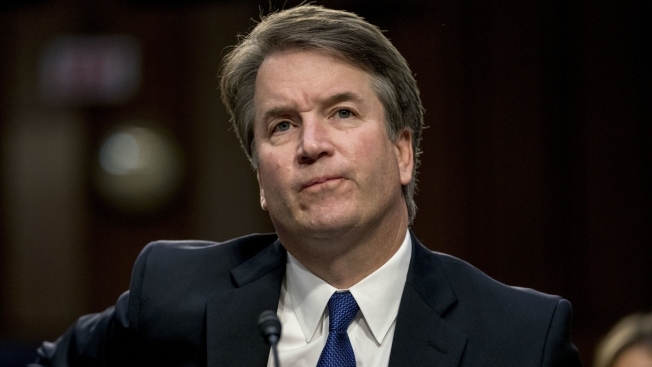 Kavanaugh, 53, even seemed emotional — not necessarily a bad thing, according to Josh Kroon, a Washington-based expert in crisis communications for the firm Levick International. "I think it played well for the people at home," Kroon said of the glimmer of Kavanaugh's frustration. "I think he's going to have to expand on the language. He has to get away from 'fair process' and 'I didn't do it.'" 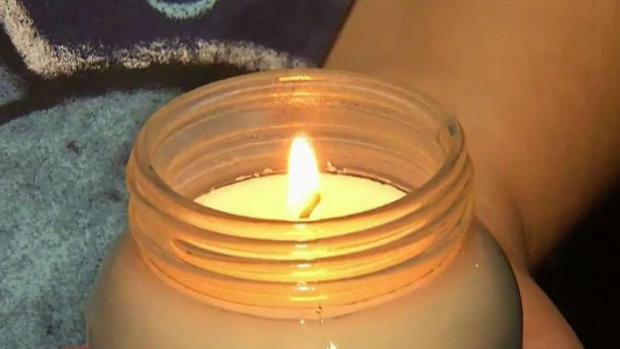 Hundreds of people on Sunday evening lined up on busy El Camino Real in Palo Alto, holding candles, phones and signs showing solidarity in support of Brett Kavanaugh accuser Christine Blasey Ford. Marianne Favro reports. Ari Fleischer, former press secretary to President George W. Bush, said, "The challenge for Brett will be conveying the expected emotion that would come with a full-throated denial. His nature is to be quiet, buttoned-down and studious, and if I'm accused of something I didn't do, I get a little hot, I get a little emotional." Dan Pfeiffer, former aide to President Barack Obama, suggested that Kavanaugh came across as insincere and the product of elite society. "He seemed entitled," Pfeiffer said. "He left a lot of additional ground for the Senate to cover on Thursday." After the interview aired, the sense in the West Wing was relief that Kavanaugh was able to present an image to counter the allegations. Yet there remained concern among aides, and Trump himself, as to how Kavanaugh, who appeared shaken at times during the interview, would hold up facing far fiercer questioning from Senate Democrats on Thursday, according to a White House official not authorized to speak publicly about private conversations. As for Ford, 51, she and her team have said nothing about how she's preparing for the hot lights to which she is even less accustomed than Kavanaugh. She works as a psychology professor in a consortium between Stanford and Palo Alto University. Senators and their staffs are preparing, too, for a hearing that they may see as unavoidable. Ahead of the hearing, they're honing strategies, questions and follow-ups, all while laboring to avoid an election-year spectacle like the 1991 confirmation hearings of Justice Clarence Thomas with his accuser, Anita Hill. A second woman accusing Supreme Court nominee Brett Kavanaugh of sexual misconduct has come forward, in an interview with The New Yorker. Deborah Ramirez claimed that Kavanaugh pulled down his pants and exposed himself to her at a drinking party when they were both freshmen at Yale, an allegation Kavanaugh denies. This time, the all-male Republican members of the Judiciary Committee are hiring an outside female counsel to, in effect, cross-examine Ford. Jeffrey Sonnenfeld, senior associate dean for leadership studies at Yale University, said Thursday's hearing is unprecedented. "This is different from all others," he said. "We don't have a press for comity the way we did for Anita Hill, with a lot of senators trying to avoid a partisan mud-throwing situation. Here, we're almost already there." Fleischer said there is pressure on Republican senators to not appear too harsh when they interview Ford, but he said there's also pressure on Democratic senators interviewing Kavanaugh. "If they come off looking like they have their fingers in Brett's chest, lecturing him ... they risk riling up half the nation," Fleischer said. Associated Press writers Jonathan Lemire, Juliet Linderman and Eric Tucker and researcher Jennifer Farrar contributed to this report. 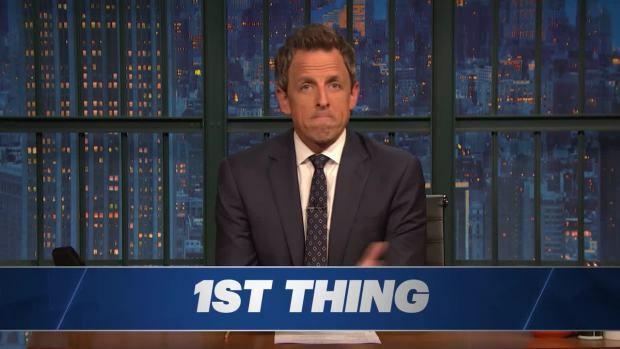 Seth Meyers has a couple of things to say to Supreme Court nominee Brett Kavanaugh after he sat down for an interview with Fox News to deny the sexual misconduct allegations against him.